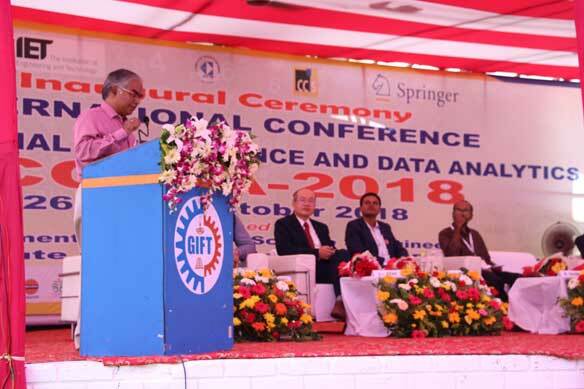 Bhubaneswar: Department of Computer Science & Engineering of Gandhi Institute For Technology (GIFT), Bhubaneswar partnering with Springer and Computer Society of India (CSI) organised a two-day International Conference on Computational Intelligence and Data Analytics (ICCIDA-2018) on 26 & 27 October 2018. Speaking on the occasion as Chief Guest, Prof Sheng Lung Peng from National Dong (HWA) University, Taiwan deliberated on the Computational Intelligence and Data Analysis. Addressing the delegates, Dr S.N. Mohanty, the organising chair of the conference threw light on the objective of ICCIDA. Earlier, Principal of GIFT, Dr S. Krishna Mohan Rao while delivering his welcome address extended a rousing reception to all the participants and lauded the efforts of the Organising Committee in giving a facelift to the International Conference. 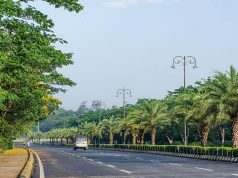 More than 70 participants including scientists, professors and researchers from all across India and countries like China, Singapore and Taiwan attended the two-day conference. Mr Manoj Panda, Centre Head, TCS graced the occasion as Guest of Honour. 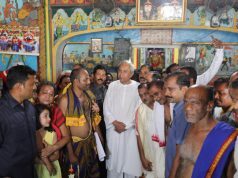 Other dignitaries who ascended on the occasion were Vice Chairman of GIFT, Er Patitapaban Panda, Vice Principal, Dr Alok Kumar Mohapatra and Dean Academics, Dr Pravat Kumar Subudhi. The program culminated with a cultural extravaganza that depicts the rich cultural heritage and ethos of Odisha.